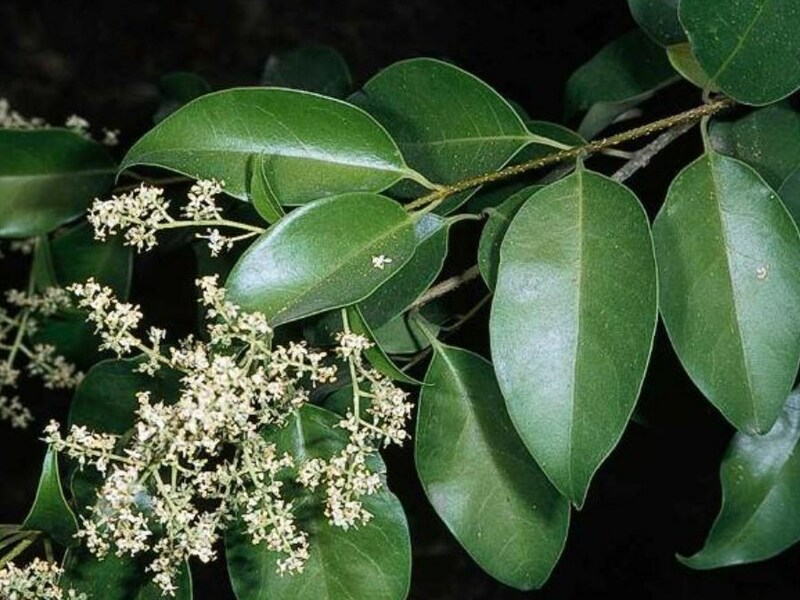 Ligustrum lucidum (glossy privet) is a shrub/tree (family Oleaceae) with white flowers and shiny oval-shaped leaves found in the San Francisco Bay area, Sacramento Valley, coastal ranges and southwestern ranges of California. It is native to China, Japan and Korea. It favors grasslands, woodlands and riparian and bottomland habitat. It spreads via seeds and root suckers. Means of dispersal include birds, water and dumped garden waste.